Try these out-of-the-ordinary Chicago team-building activities that teach colleagues how to work better together. The best Chicago team-building exercises are ones that are fun, interactive and get coworkers excited-but where to start? Take a departure from the ordinary with fun team games, thrilling adventures and even a little competition. Your team will build rapport and learn to work together, all while having a great time. Here are a few ideas for team building activities in Chicago to get you started. 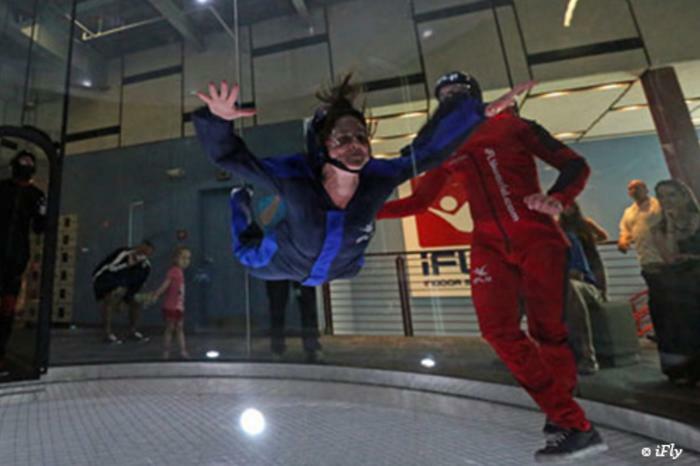 Why They&apos;ll Love It: Even for team members who may not know each other very well, the thrill and excitement of skydiving can create an instant connection and give them something to talk about. Pair up team members so they can soar together and share in the exhilaration. Book It: Get the Party Package for 24 flights shared by up to 12 people, which even comes with 12 free video clips-perfect for sharing in your next company e-newsletter. Why They&apos;ll Love It: Coworkers can let loose while enjoying a friendly game of ping-pong. Take a break to socialize over drinks and casual food, from pizzas and burgers to upscale comfort dishes. Book It: Reserve a spot for your Chicago team-building event, and pick one of the food and beverage packages from the convenient catering menu. 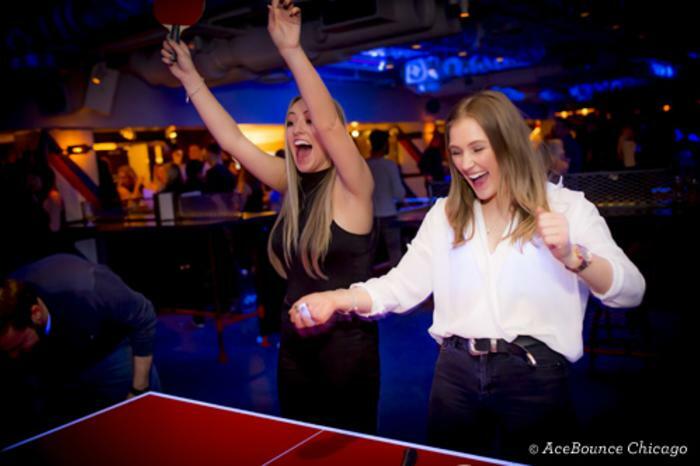 Why They&apos;ll Love It: Team members can tap into their competitive side with some fast-paced ping-pong action-and then refuel with expertly crafted cocktails and globally inspired dishes. 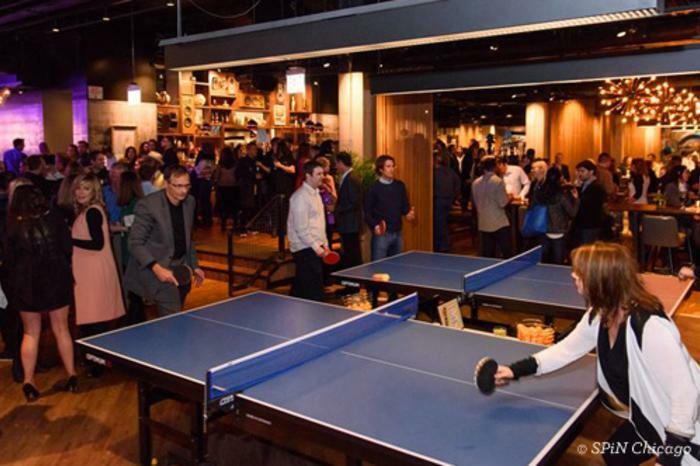 Book It: Book a Chicago ping-pong party for an all-out fun experience with DJ music, drinks and food. Reserve The Parlor private room (with its own cocktail bar and dedicated bartender) or one of the two semi-private spaces. Up the ante with a Games Guru (think: game show announcer meets party planner) to run the show — perfect for a tournament-style event. Why They&apos;ll Love It: The elegant yet rustic vibe of this Italian bistro sets the scene for an upscale gathering, but the fun of bowling and bocce creates a relaxed setting to get to know coworkers. Book It: Reserve a bowling lane (up to eight people each) or bocce court (up to 10 people each), followed by a sit-down dinner in the bistro. Group packages make it easy to plan larger events combining games and food. Why They&apos;ll Love It: No matter their sports background or previous experience, everyone is on an even playing field in this innovative game, which combines basketball, whiffle ball and bumper cars. 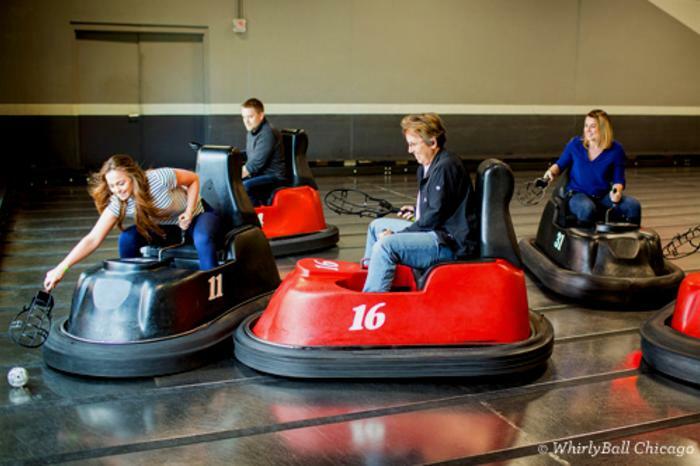 Book It: Reserve your Whirlyball court. The Chicago location has three courts, as well as 12 bowling lanes and a laser tag arena for even more game-time options. Book the private VIP space and relax on the rooftop terrace after the game. Why They&apos;ll Love It: Teams embark on a culinary team-building experience that starts with an arrival reception with passed hors d&apos;oeuvres, followed by one or more hands-on activities, and ultimately a delectable meal. 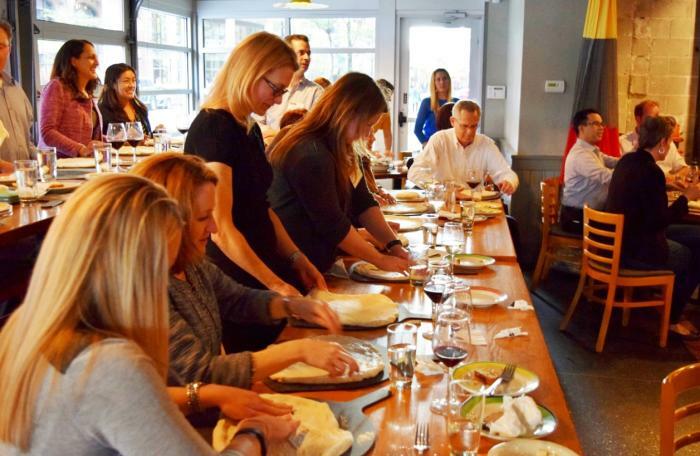 During the hands-on activities, guests learn recipes and cooking methods, make part of their meal, and/or compete in teams, depending on the particular activity selected. Current themes include Authentic Italian, Latin-American, and Mixology. Book It: Packages start at $65pp, for a minimum of 12 guests and a maximum of 250 guests. Chicago Dine-Around offers flexible start times. Get more info here. Contact a Chicago Dine-Around event planner at (312) 437-3463 or events@chicagodinearound.com. Why They&apos;ll Love It: Team members can use their problem-solving skills-and imagination-while getting to know their teammates in these intense yet fun "escape rooms," featuring scenarios like saving the world from zombies. Book It: Take your pick from one of the four unique rooms, or book all four to host up to 24 people at once. Why They&apos;ll Love It: Coworkers will need to work together: not as themselves, but as secret agents. With two different top-secret missions, team members will learn how to work together in exciting role-play scenarios. 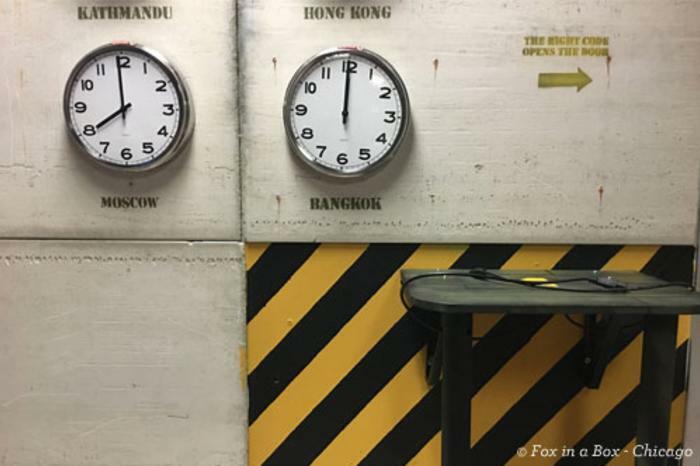 Book It: Reserve your escape room for up to 10 people at a time. Why They&apos;ll Love It: Part Chicago scavenger hunt, part role play, part city tour, these interactive adventures will have coworkers exploring Chicago, having fun and learning about each other in the process. Book It: Fill out a request form to book your Chicago hunt. Still looking for more options? 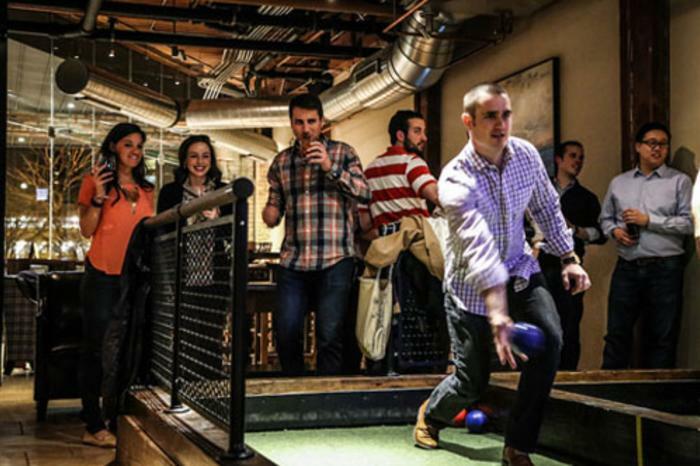 Get even more Chicago corporate team-building ideas for your next meeting in the city. Why They&apos;ll Love It: This isn&apos;t just any old game night. Game Night Out offers a new opportunity to connect with family, friends, or co-workers, to showcase your knowledge, compete head-to-head and work as a team. You and a group of 6 to 16 friends, family, or colleagues compete head-to-head, in teams, during a private 2-hour experience of all original party games. Each game moves fast, keeps you on your toes, and requires you to think quickly and work as a team.A host guides the experience, introducing you to thegames, explaining the rules, encouragingcompetition, and keepingthe experience on track and full of fun. Book It: Prices are $45 per person, with a minimum of 6 people and maximum of 16. Fill out your reservation request form here.